We refund 42% of the sales commission back to YOU when buying your life insurance through us. We are a discount insurance broker. As such we have no sales team to pay. Therefore we can afford to give YOU 42% of the commission paid to us by the insurer, rather than the traditional broker who keeps the commission for themselves. Saving you £191.04 over 48 months! Saving you £1,046.78 over 48 months! The above example is for a 35 year non smoking healthy man with £300,000 of level cover for 30 years - please note that the quotation above is an indicative quote and as such is subject to change. Insurance companies reward brokers for selling their policies by means of sales commission payments. The broker in turn uses this commission to incentive and reward their sales force. At Save and Insure, we don't have a sales force, so instead we use our commission payments to lower our prices, benefiting you, the customer. How can Save and Insure offer brand leading insurance products at prices that are considerably cheaper than pretty much any other broker in the market, including the insurance companies themselves? All insurance brokers receive a commission from the insurance company for selling their products to you, the customer on their behalf. This is how the insurance broker makes their profit. At Save and Insure, as an insurance discounter, we work on considerably low rates of commission, opting instead for selling policies in bulk. Therefore we have decided to share a significant percentage of the commission we receive from the insurance company with you, the customer, therefore making the overall cost of the insurance policy significantly cheaper than it would otherwise have been. Is my policy covered by the FCA (Financial Conduct Authority) and are Save and Insure covered by the FCA? Yes and Yes. When you take a policy out via Save and Insure, we are simply introducing you to your chosen insurer and all the insurers we deal with are covered by the FCA. We simply act as an introducer of insurance policies so your policy is with your chosen insurer and not Save and Insure. How do you pay for the insurance policy? Any policy you buy with Save and Insure is in fact a policy that is contracted between you and the insurance company themselves. 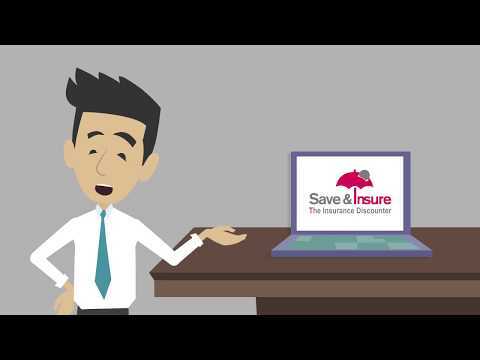 At Save and Insure, we are not an insurance company but simply an introducer and advertiser of the insurance companies’ policies. Therefore, each month by means of direct debit you will be paying money to the insurance company you have taken the policy out with and NOT Save and Insure. You will never pay any money to Save and Insure – in fact we pay you money! Why do you have to pay the standard price of the policy each month to the insurance company and not the discounted price as stated by Save and Insure. Once your application has been approved by the insurer, they pay Save and Insure a commission for selling the policy to you on their behalf. it is this commission that Save and Insure use to lower its prices. The customer pays the insurance company by direct debit their standard web price for the policy (the standard price is not the discounted price you have seen on Save and Insure – please read on and you will see how you get your money back). Within fifteen days of your monthly direct debit clearing, Save and Insure will automatically pay into your bank account or PayPal account the difference between the insurer's standard price and the Save and Insure price. We can, if you so wish pay the money owed to you by cheque, however this can only be done on a yearly basis. How can you the customer be sure that you will receive the commission we promised you and that the money is guaranteed? 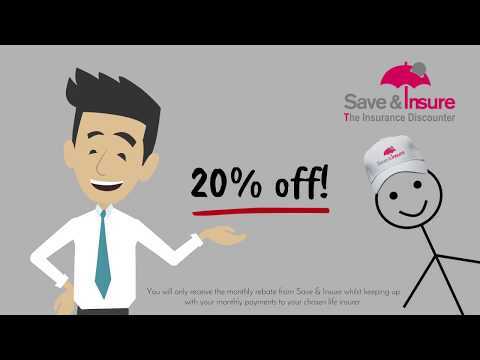 Save and Insure are a U.K. based company working in the U.K. financial services sector. We are authorised and regulated by the Financial Conduct Authority (FCA). It is their job to ensure we do what we say we are going to do. Our FCA number is 755332. Is my life insurance as secure when buying it through Save and Insure as it would be through a comparison site or the Insurer themselves? Save and Insure is in fact its own comparison site. We have access to the latest on-line prices from most of the U.K.'s leading life insurers. Once we have secured the best price for you we connect you directly with your chosen insurer and you complete the sign up process with them. Your contract is with them, and them alone. You never sign a contract with Save and Insure. Save and Insure will never ask you for any money. Why don’t Save and Insure pay you back the commission in one lump sum? We would like to however if we did, some people (not you!) might decide to cancel their plan soon after receiving the entire 48 months discounts, which would leave Save and Insure significantly out of pocket. So, as long as you continue to keep up with your monthly payments to your chosen insurer, we at Save and Insure will pay that commission back to you, each month for 4 years. So am I tied in for 4 years? Absolutely not. You can leave the insurance policy at any time, however if you do so, Save and Insure are contracted to pay the remaining commission received from the insurance company that was earmarked for you back to the insurance company. What happens at the end of 4 years? You can carry on paying your monthly direct debit to the insurance company but remember you will be paying the standard price and will not be receiving any commission rebate from Save and Insure, therefore making your policy in effect more expensive. You can stop the insurance policy all together. You can shop around for a competitive quote from another broker or insurance provider. You will have been so happy with the service and prices provided to you by Save and Insure that you will use our website to purchase another price busting policy and receive the “returners extra discount” i.e. one month’s extra commission - a little thank-you from us to you.